I offer a range of social media services at all levels, whether it’s helping companies and brands develop an online presence or creating compelling content that gets shared. I help small businesses, artists, independent contractors, and others brand themselves to stand out in their fields. My popular personal email newsletter chronicles what I’ve been writing for the internet, as well as what I’ve been reading and enjoying in pop culture. Subscribe here. My account is not just an RSS feed for my own work. I use Twitter to interact with other writers and potential sources, and to get feedback or thoughts from followers. 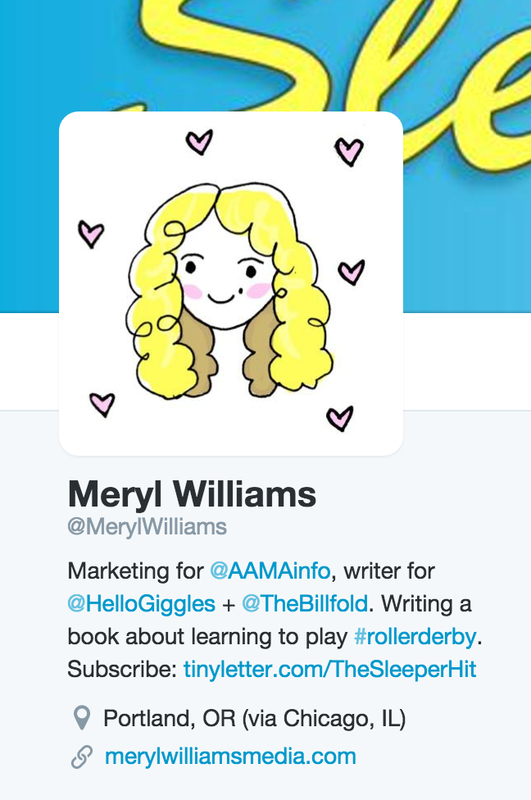 I’m especially interested in tweeting about pop culture, TV, roller derby, freelance writing, and more. This account shows the fun side of AAMA, and includes a regular feature called #MeetUsMonday. This segment introduces followers to a new AAMA staff member every Monday.